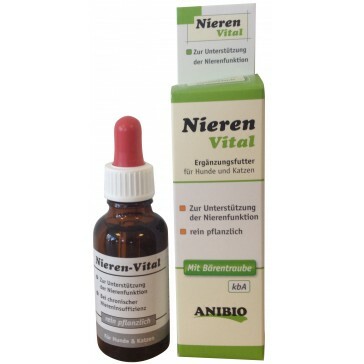 If you want more detailed information about this product, please search over the web for the manufacturers official page by inserting "Anibio (eu) Nieren-Vital (kidney Detox)" or contact our customer service. natural supplement for stressed kidneys. Chronic renal failure is a disease that involves the irreversible loss of kidney function. Since the kidneys are a kind of body filter, the decrease of its function results in very serious consequences, as many organs and tissues become intoxicated and are no longer eliminated in the urine and therefore build up in the blood. This dysfunction is more common in cats than in dogs, and affects about 5% of subjects, representing the leading cause of death in older animals. In truth, especially when eating kibble, kidney disorders are very common even in young age. The main cause for kidney failure is the consumption of dog food (dry kibble). Please use the internet for more info. Administered directly into the mouth or with food. If for example, your pet has 10 kg, you will give him more or less 14 drops. Period of administration recommended for maintenance or light kidney disease: 10 days per month. 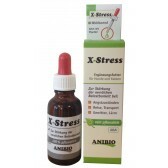 For chronic kidney disease use daily. Consult with your veterinarian for the dosages and times of administration. Your pet should always have plenty of water available to him. Purified water, extracts of: Erica cinerea (heather), Taraxacum officinale (dandelion), Arctostaphylos (bearberry), Juniperus communis (juniper), dextrose. Analytical elements: Crude protein 0.5% Crude fiber 0.3% Fat 0.3% 0.2% incinerated residue. I advise all cats owners who whose pets suffer from kidney and liver problems to utilize Nieren Vital and Lieber Vital. I have been giving them to my 22 years old cat for the last 2 years and despite her kidney problems she is currently eating and never vomiting. 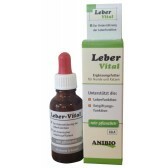 I also tried to give her the specific cream product for kidney which I had ordered to the veterinarian, Renalzjn, but I've seen that she has a hard time taking it.